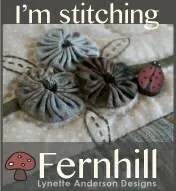 Well I think it was about July when I first say this block in Homespun. I fell in love with it. So I commenced at working out my background fabric and brought my cottons and stabilizer backing. I traced the pattern every so carefully and started to stitch my first block. 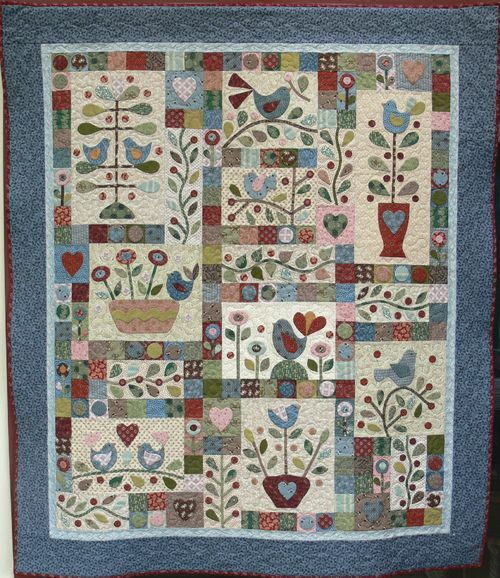 Then to find the other fabric need to complete this quilt – all that worked so well together. Each fortnight I waited for the next quilt – sometimes it didn’t come online when it should. Cut the block, trace the pattern and iron the stabilizer on commence stitching. In most cases I did have the blocks finished before the next one and there were some that I just cursed at with the thread not working my way. But in the end, it came together with the binding now completed – it is now finished. Thankyou very much Homespun and Natashia Curtin of Smee Designs for a wonderful quilt. The only thing now is to do my label…. Well, there’s a little green frog in my pond. He is so cute hanging in there using a lily stem. I love how the shape of the lilys have turned out – I used glue to help the curving stay in place. The stems were a bit challenging having to turn them inside out but they turned out so great. 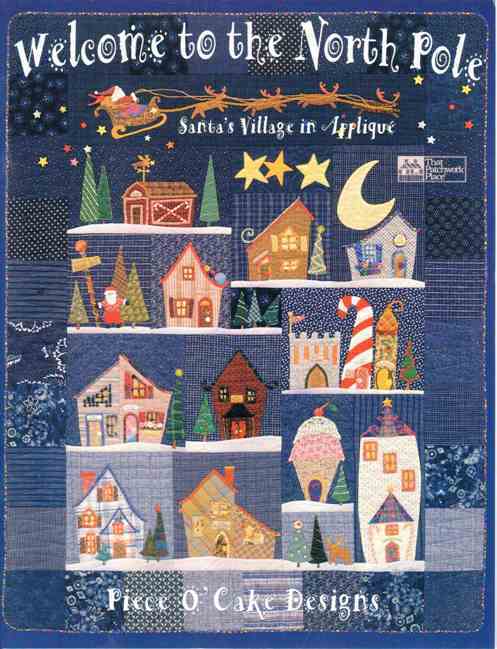 This is one of the Quilt Aid blocks and I think you can still get them – just look on the website www.quiltaid.com.au. You will also find examples of how to finish the quilts.